Rick Mears always had a reputation of being a clean and sportsman driver. Other drivers were never afraid to go wheel-to-wheel with Rick. Current drivers, Jeff Gordon and Jimmie Johnson used Mears as a role model for being a professional driver. 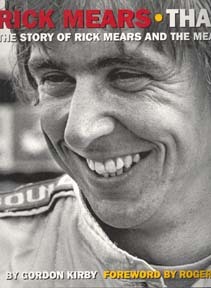 Author Gordon Kirby takes a look at the career of Rick Mears.